Ryan Mathews may have played his last game for the Philadelphia Eagles. In his day-after press conference, Doug Pederson revealed that Ryan Mathews has a C6 and C7 herniated disk, which means that Mathews' season is over. Pederson said that Mathews suffered the injury Thursday night against the Giants on the third down play in which Mathews was tackled a foot or two shy of the goal line at the end of the third quarter. Mathews stayed in the game and was stopped again on fourth down. "It looks like he could miss some significant time with this," said Pederson. "It's a pretty significant injury, so we'll miss him obviously next week and the rest of the year. "That's a pretty major, major deal." Mathews' injury does not look like it's career-ending, according to Pederson, but he will require surgery. "I don't think it's career threatening," Pederson said. "I don't have all the information right now. What I got from our doctors this morning is that it looks like surgery is in the near future. It just has to get fixed." In 2017, Mathews will count for $5 million against the salary cap, $4 million of which the Eagles can save if they trade or cut him. Injury or not, it was likely the Eagles would move on from Mathews, as he is often injured and has had ball security issues. Mathews' injury, however, makes a trade less likely. 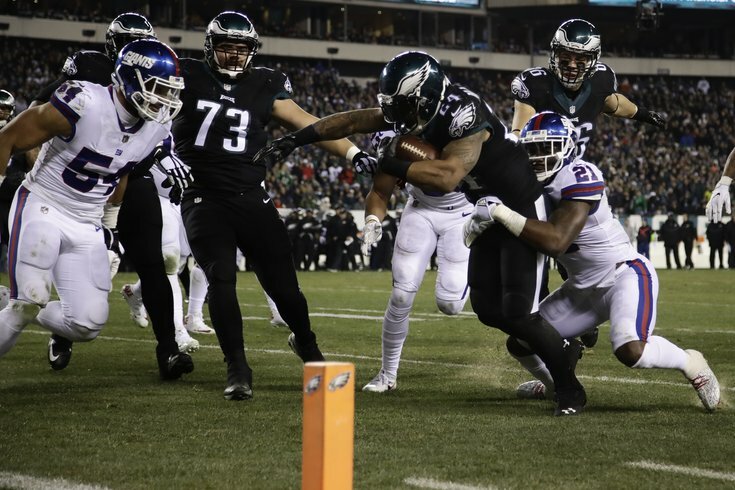 "I think that Ryan obviously got off to a good start, and then there was a little bit of a lull in the middle, and he has finished up strong," Pederson said when evaluating Mathews' season. "That's kind of been the nature of the season for him. These last couple of weeks he's been our workhorse at the running back position and did some really good things for us, and then this obviously is now unfortunate that he can't finish the season for us." When asked if Mathews would be a part of the team going forward, Pederson did exactly give George Costanza's "Cancer?!? Get out of here!" "I'm not going to speculate on that kind of stuff right now," Pederson said. "We'll save all of those for the offseason and wait until that time to make any decisions." Mathews will finish the 2016 season with 155 carries for 661 yards and 8 TDs.